RBK are delighted to have won the ‘Best Financial & Business Advisory Firm’ award at the Chambers Ireland InBusiness Recognition Awards 2018 yesterday. The InBusiness Recognition Awards, held in the Westin Hotel, Dublin, recognise and honour exceptional business achievement and innovation in Irish businesses. 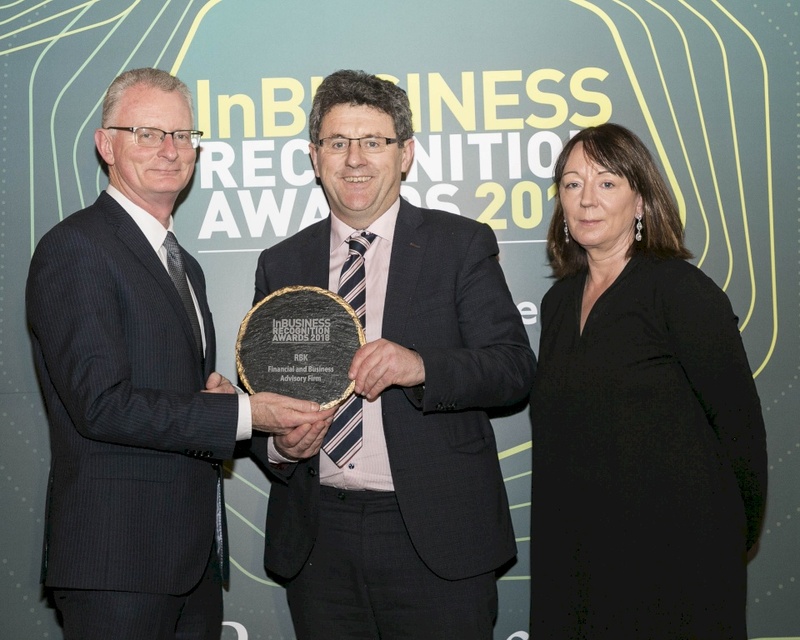 Winners of the InBUSINESS Recognition Awards were chosen across 22 categories based on the broad criteria of growth, profile of business, range of services and customer care. Hosted by Newstalk’s Vincent Wall, each winner had the unique opportunity to address the audience to give some further insights to their business as they received their award. On accepting the award, David Gleeson, Managing Partner at RBK said; “We place a very high value on our involvement with the various Chambers of Commerce we work with throughout the country and being recognised as the Best Financial & Business Advisory firm is a great honour for us, particularly for our talented team who work to provide a first-class service. 2018 has been very exciting for the firm. Firstly, we celebrated a significant milestone of being 60 years in business. 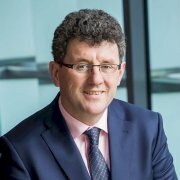 Secondly, we have continued to grow our business, increasing our service offering to FDI and Irish indigenous businesses. We have plans to further expand and copperfasten our position as Ireland’s largest independent branded accountancy firm. We are actively recruiting staff – whether that’s in corporate finance, taxation or audit – so that we can continue to improve our service offering to the marketplace. Finally, we’d also like to thank our clients for their business and providing us with the opportunity of working with innovative and forward thinking business leaders."